Johnson & Johnson has filed motions to toss the verdict, accusing the plaintiffs' lawyer, Mark Lanier, of referencing stillborn babies in his opening statement and showing a drawing of a woman pushed over a ledge into ovarian cancer. Johnson & Johnson’s refusal to warn consumers its baby powder might cause ovarian cancer, despite four decades of knowing about the risk, created a “perfect storm of highly reprehensible conduct” that warranted a $4.7 billion verdict in Missouri. “Defendants knew there was asbestos in what they marketed as ‘baby’ powder, but they deliberately targeted mothers and women in general with advertising misrepresenting the safety of their talc product,” Holland wrote. Johnson & Johnson has moved to toss the award, calling it unconstitutional and excessive. It also alleges misconduct against the plaintiffs’ lead trial counsel, Mark Lanier. 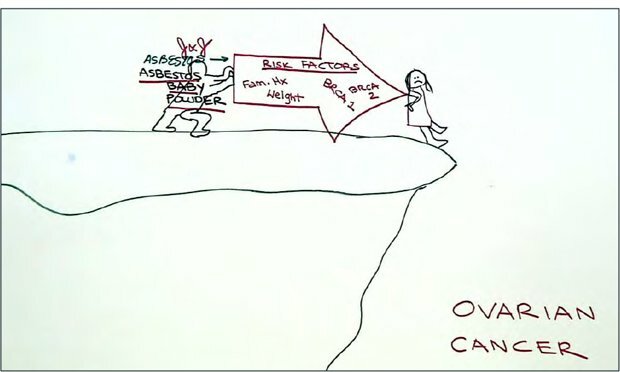 Among other things, the company claims Lanier referenced stillborn babies in his opening statement, changed words on his website in midtrial and showed the jury a drawing of a woman pushed over a ledge into ovarian cancer by Johnson & Johnson’s asbestos-containing baby powder. Bauer was joined in the motions by Orrick, Herrington & Sutcliffe and Shook, Hardy & Bacon. Johnson & Johnson also filed a motion for a new trial on damages and a motion for a judgment notwithstanding the verdict. It’s not the first time Johnson & Johnson has gone head-to-head against Lanier. In April, the U.S. Court of Appeals for the Fifth Circuit reversed a $502 million hip implant award against its subsidiary, DePuy Orthopaedics, in part due to Lanier’s “unequivocally deceptive” conduct. “Such deceptive tactics have no place in a courtroom and further warrant new trials of each plaintiff family’s claims,” Bauer wrote. Lanier, in the plaintiffs’ responses on Wednesday, acknowledged he mistakenly referred to stillborn babies in his opening statement but did so only in reference to a study, not to allude that Johnson & Johnson’s baby powder caused their deaths. The plaintiffs’ lawyers also defended the drawing, over which Johnson & Johnson never objected during trial. A St. Louis jury awarded $550 million in compensatory damages and $4.05 billion in punitive damages. The trial was the first talcum powder case for Lanier and the first ovarian cancer award in a case alleging Johnson & Johnson’s talcum powder contained asbestos, a known carcinogen. Johnson & Johnson’s posttrial motions argued that the plaintiffs’ attorneys failed to provide sufficient evidence that its baby powder caused ovarian cancer or that it caused the disease in each individual plaintiff. They criticized the testimonies of the plaintiffs’ experts and said the plaintiffs’ attorneys misconstrued Missouri’s law on causation, an allegation opposed on Wednesday. In its motion for a new trial on damages, Johnson & Johnson suggested that the compensatory damages be no more than $3 million per plaintiff. The company also challenged the use of a coordinated trial of 22 women because it was “inherently unfair” and “highly prejudicial,” an approach borrowed from its arguments in the hip implant verdicts. Six plaintiffs died from ovarian cancer, several had spouses with additional claims, and each differed in their talcum powder use and prognoses. In responding, the plaintiffs’ lawyers turned to the U.S. Court of Appeals for the Eleventh Circuit’s 2017 ruling upholding a $27 million verdict in a consolidated trial of four women against Boston Scientific Corp. over its pelvic mesh products. The $4.7 billion verdict came in the first talcum powder trial since the U.S. Supreme Court’s decision in Bristol-Myers Squibb v. Superior Court of California, which made it harder for nonresident litigants to pursue claims in lawsuits with multiple plaintiffs. In its motion for a judgment notwithstanding the verdict, Johnson & Johnson, based in New Jersey, continued to cite Bristol-Myers, noting that 17 of the 22 plaintiffs were not from Missouri. The plaintiffs’ attorneys wrote on Wednesday that a Missouri talc supplier had established jurisdiction. Amanda Bronstad is the ALM staff reporter covering class actions and mass torts nationwide. She writes the email dispatch Critical Mass. She is based in Los Angeles. Did Defendants in Latest Roundup Trial 'Geo-Fence' Jurors? “We just felt it was horribly unfair,” said plaintiffs' attorney Steven Brady, who moved for an injunction barring geo-fencing during the third trial over Roundup herbicide. The judge disagreed.